Are you on social media? This blog serves as an outlet for me to share my interest in babywearing, increasing the visibility of babywearing and great deals that I run into online. 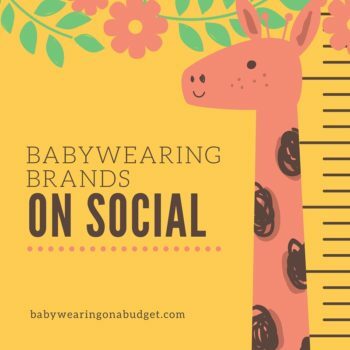 What better way to check out updates and great images from babywearing brands than their social media outlets? I’ve compiled a short list** of brands that are on social and also share their sales and deals online. ** This is not a complete list.